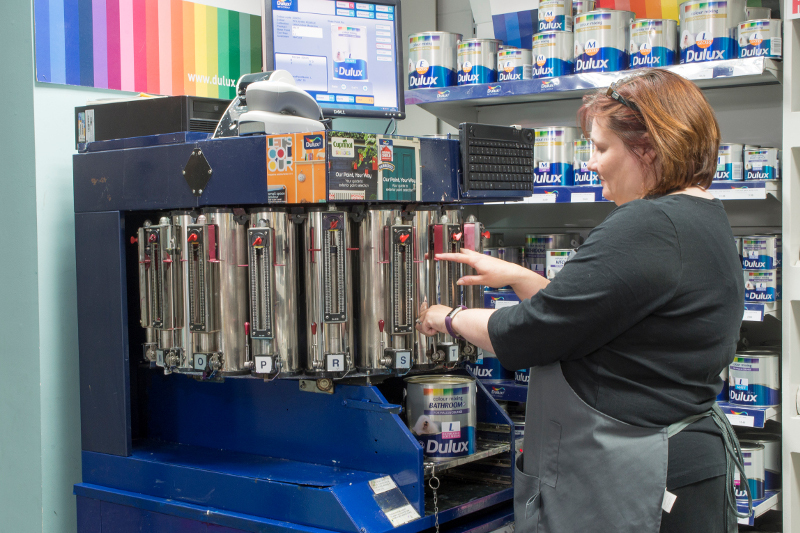 Our friendly and experienced staff will help you with colour and technical advice to make sure you get what you need. 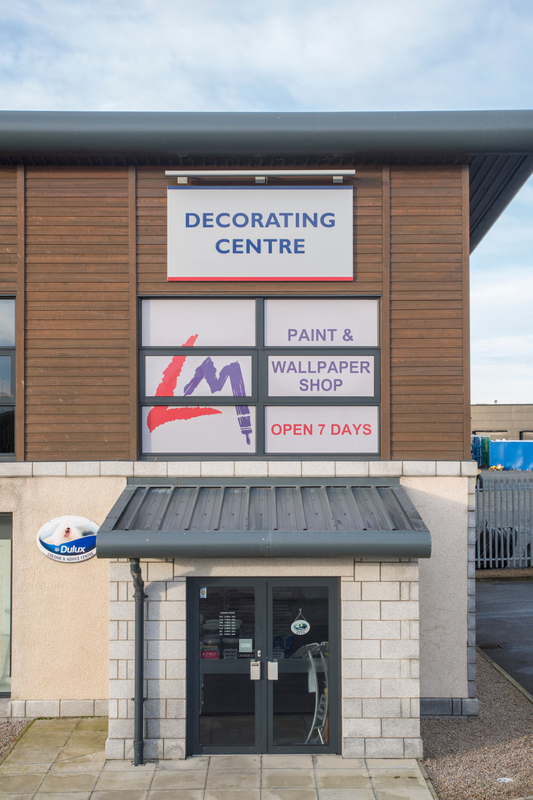 We stock a large selection of Paint, Wallpapers, Fabrics and DIY products. 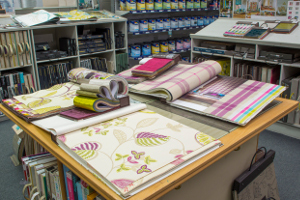 Our range of stock Wallpapers is the largest in the area. We have a large range of Wallpaper Sample Books by the following designers; Casadeco, Harlequin, Colemans, Romo and Sanderson. The Sample Books can be taken away for you to look through at home. 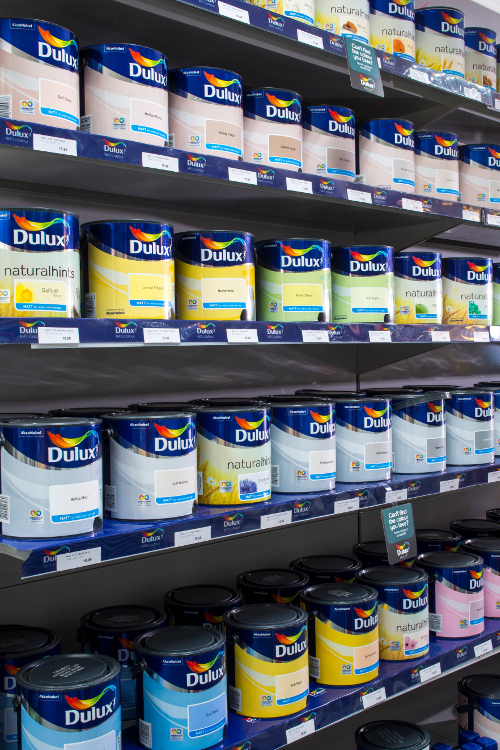 We have an in-store Dulux Tinting Machine that enables us to mix over 2,000 colours in a variety of finishes. We also have a Dulux Magic Eye Scanner that will match any colour of your choice to the nearest Dulux colour. We are able to offer a curtain making service where we visit your home, help you with choosing your fabric and then make up the curtains to suit your requirements. Both Stores have ample parking available.